I am super excited to share with you a chance to win a class from Craftsy! I have taken several classes on Craftsy, and I have loved all of them. They're super informative and I have learned so much about quilting and sewing. Not into Quilting and Sewing classes? No Problem! Craftsy has classes in a wide range of categories, from Food & Cooking to Fine Art, and even Photography! I just finished watching Camille Roskelley's first class, Pre-Cut Piecing Made Simple, I learned a ton of great tips about chain piecing, and rotary cutting correctly, plus I finally learned how to properly hand bind a quilt. For some reason I could never make my bindings look pretty when I hand stitched them to the back. 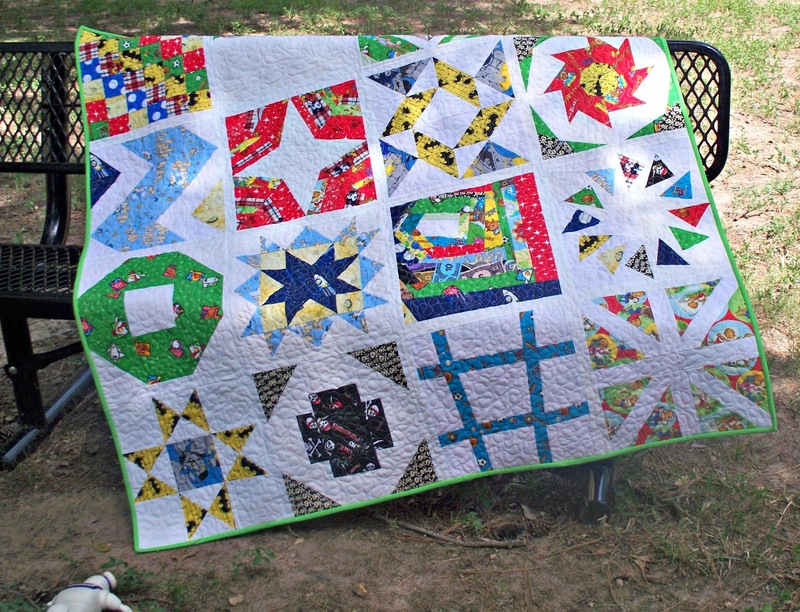 This week is National Craft Month and this past Saturday, March 15th was National Quilting Day! In honor of all of this, Craftsy is generously giving away a free class to one of my readers! To enter, all you have to do is click on this link. If you are not already a Craftsy user, registering is easy, and if you are a Craftsy user all you have to do is log in and you will be entered! This giveaway is now closed. The winner will be contacted directly by Craftsy. Good luck! This giveaway will close on March 21st, and Craftsy will notify the winner directly by email. Too anxious to wait for the giveaway to be over? Then head over to Craftsy now and check out their awesome sale going on! Get ALL online classes at up to 50% off for a limited time only. You won't see hundreds of classes with prices this low again soon. Hurry, offer expires March 17 at midnight MT. UPDATE: The Craftsy Endless Creativity Sale has been extended! Offer now expires March 18 at midnight MT. I just bought Camille Roskelley's second class, Playful Piecing Techniques, and I am looking forward to watching it soon!